The word arthritis comes from the Greek – arthro meaning joint and itis meaning inflammation. Studies show up 4 out of 5 dogs over 6 years of age have arthritis. This means over 1 million dogs in the UK have arthritis. 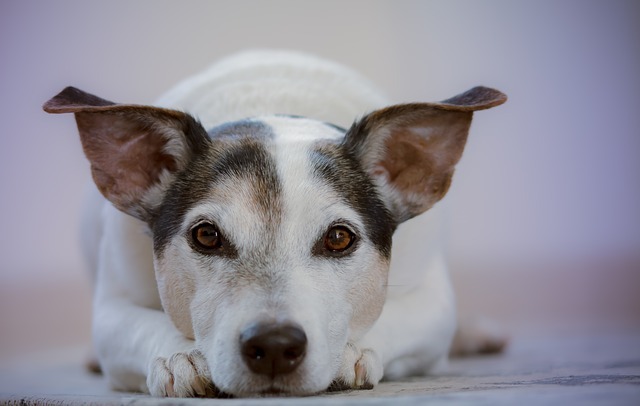 Arthritis in dogs is a progressive disease – i.e. it gets worse over time so early support is vital. The biggest causes of arthritis in dogs are hip and elbow dysplasia, cruciate ligament damage, and injury. Keeping dogs with arthritis mobile is a crucial part of their care. The mobility of dogs with arthritis can be supported by using aids such as ramps and harnesses. Evidence suggests giving EPA (omega3) at a dose of 45mg/kg/day to your dog to alleviate arthritis symptoms. EPA (omega3) blocks the action of the enzyme that breaks down the cartilage in the joint. Changing the environment of your dog helps if they have arthritis. Use rugs on slippery floors and ramps to help them get in and out of the car, up and down steps or onto the sofa. Use a harness to help your dog up and down flights of stairs. Weight bearing is good for dogs with arthritis as according to Wolff’s law the structure of the bone depends on the force placed upon it. Cage rest is not good for a dog with arthritis. The cartilage in the joints needs movement in order to receive nutrients as it has no blood supply of its own. 3 short walks are better than one long walk for dogs with arthritis. Before walking use warm damp flannels to warm their muscles for at least 5 minutes. Do some warm up exercise with your arthritic dog before heading off for a walk. These could include repeated sitting to stand and stand to down, walking in decreasing circles, and walking in figures of eight. If inflammation increases after a walk use cold packs for no more than 10 mins. Always wrap the pack in a towel before applying. Maintaining a healthy weight is important for dogs with arthritis. The PDSA has recently reported that 40% of UK dogs are overweight. Weight loss reduces the stress on joints which means less pain. Massage helps arthritic dogs maintain their mobility by stretching out muscles which have been held in tension and ensuring a good supply of blood and nutrients to the muscles and joints. It also promotes the production of endorphins which are the body’s natural pain killers. Call me on 07761 826736 for more information or to talk about massage for your own dog.